New Zealand – Recycling metal surgical implants left over after a cremation is a growing trend in New Zealand, according to the country’s Funeral Directors Association. More than 60% of families now choose cremation over a cemetery burial, it is added. There is not yet a standardised process for the recycling of medical items such as surgical steel hip joints and titanium screws, which make it out of the 1000-degree Celsius cremation process unscathed. The fact is that these metals may serve the manufacture of road signs or motorway barriers – and high value metals like cobalt support the aircraft, green energy and automotive industries. 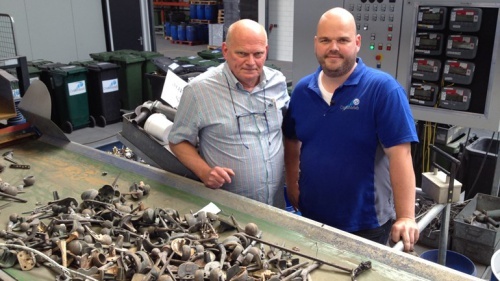 OrthoMetals is a pioneer specialising in recycling metals remaining after cremation, and has been active in this niche market for over seventeen years – including in New Zealand. Today, more than 650 crematoria all over the world have joined forces with OrthoMetals, with the recycling service being free of charge. ‘The sorted metals are smelted for reuse at our partner foundries. None of the metals will be recognisably reused for other purposes than the original purpose,’ says the recycler, which is headquartered in the Dutch city of Meppel. The non-profit organisation processes some 450 tons worth of metal annually. It has even recycled quite a number of artificial joints salvaged from the ashes of pets, and donated the proceeds to an animal welfare charity. Interestingly, the UK’s Institute of Cemetery and Crematorium Management launched a recycling scheme to recover metal implants back in 2005, and approximately 60% of the region’s 272 crematoria are signed up. Orthometals has made quite a name for itself as a pioneer in recycling metal joints.